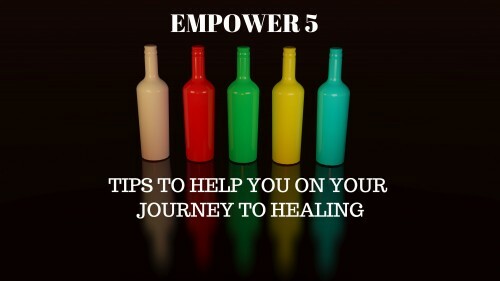 As we come to the end of a new month in a new year, I wanted to share with you 5 things that has helped me become the woman I am today, and that I also believe can empower you on your journey to healing. Sexual abuse has a way of subconsciously defining a survivor’s decisions, relationships and identity. As I started to work on my self-esteem and confidence I discovered over time who I am and the things that mattered to me. I know my creator values me highly and through his son Jesus, this truth has become the foundation on which I build my identity. In between working on self and discovering who you are, it may seem tempting to revert back to old habits and relationships mid way through your journey to new personal freedom. It will prove especially hard if you do not start to establish a solid foundation- something outside the influence of your thoughts, feelings and emotions to discover who you are. Be careful in making sure your foundation is not being built from people pleasing and other people’s opinions or influences- it will only serve to cause further damage to your self esteem. Have you heard the saying “Knowledge is power?” Well it is more than a saying it is true. When we know better we do better, and in order to do better, new information is needed to help us do that. One of the things that has really helped me is reading articles and books on the topic of sexual abuse. It has given me a better insight into why my abuse affected me the way it did and helped me not to be hard on myself. Books by Dr David Finkelhor, a leading researcher on the affects of childhood sexual abuse, Robin Stone, a survivor, editor and writer, who wrote a book on sexual abuse in the black community and Joyce Meyer, a world-renowned Christian evangelist with a ministry that empowers both men and women, has given me valuable information. Joyce, a survivor of sexual abuse has openly talked about her experience, and her book ‘Beauty for Ashes’ helped me to understand the spiritual damage caused by such trauma. I encourage you to checkout different resources; online, podcasts, books and survivor stories. Having a good support network around you will not only help you to heal but also help you to flourish. Surrounding yourself with toxic people will have a bad impact on your journey to healing and life.It can be hard when you have grown up with family and friends that you cherish and love, only to find they are totally in denial and un- supportive about what has happened to you. Rather than listening, they criticise and belittle your experience, I had to be very brutal in cutting off so many people in my life. Being around other like-minded people who have had similar experiences can be both empowering and encouraging. Daughter Arise runs a monthly support group every month and it is free! We come together from different backgrounds to support one another, talk about our current challenges, engage in activities and even have a laugh! A good support network also includes 1 or 2 supportive friends (if you have them!) and a counsellor (if you have one) Even if you have 1 of these things it is a good start. I have built my trusted network over the last 14 years, and because I am careful whom I choose to spend my time with, I can be myself and deal with my challenges with judgement. One of the reasons I started support group is because I wanted to create a space where survivors can come and get away for a couple of hours. As survivors of trauma we have spent many hours, days, months and years, coping, thinking and struggling with challenges in the aftermath. I believe engaging in something you like doing is not only an important factor in past abuse not defining your life but also an essential part of finding hope. What is it you like doing or passionate about? You many not have engaged in it for a long time but I would encourage you to ignite the spark again. I hope as you go through 2018 I hope your choices leave you empowered to live the life you want. Fantastic story and very encouraging, proving that no matter where you find yourself, you can always change your position and rise up! It is always possible to rise up! you just got to have that belief in yourself! very inspiration and openness on your own experiences is very encouraging. Thank you, as I always say nothing I have been through will be in vain. My experiences are to encourage and help other people. How true! I think fear is one of the reasons that hold people back, but on the other side of it as you said is a new road to wellness.My hope is in 2018 survivors will take that leap!